One of the most important things you can do to boost your mood this winter is to exercise. 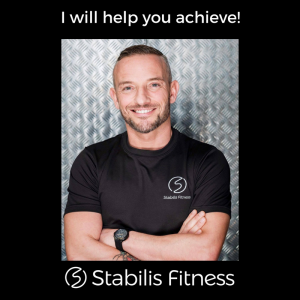 Andy Ciaravella, founder of Stabilis Fitness and health and fitness coach, tells us more about the importance of keeping active and how you can raise your fitness level in gradual, sustainable and simple ways. The summer is well and truly over, the dark evenings are here and the days are much shorter; leaving many of us struggling to find the motivation to continue our regular fitness regime. Low mood, lack of motivation and low energy cause many to hibernate and hang up their gym kit until next summer. This change in daily routine can have a negative impact on your sleep pattern. For both workout aficionados and couch potatoes, there are simple and easy ways to get back into an exercise routine that will help you keep up an exercise routine that works for and benefits you this season. I recommend that you do 30 minutes of moderate to high aerobic activity three or more times a week, such as power walking, running or swimming and not forgetting some type of muscle strengthening activity and stretching, at least two – three times a week. You can gain substantial health benefits by accumulating 30 minutes or more of moderate-intensity physical activity a day, at least five times a week which can be a walk around your local park or a bike ride. By completing 30 minutes aerobic activity you will have used up the energy stored in your muscles and if you continue for longer distances you can start tapping into your fat stores! You don’t need a set of weights to weight train! Squats – bodyweight or use weighted objects to make it harder. This exercise will work the buttocks and thighs and with the buttocks being the largest muscle in the body, its great to keep this one toned as the more muscle in the body the more fat is being burned. Press-ups – to regress use your knees or stand up and use a wall. This exercise will work several muscles groups in the chest, arms, shoulders, triceps and back. Sit-ups – this exercise works the muscles of the abdomen. Plank – this works the core muscles that include abdominal and lower back and it uses your own body weight for resistance. If you’ve not been getting to the gym as much as you’d like, you can start with less strenuous activities such as walking or cycling instead of getting in the car. Switch the television off and do activities cleaning or playing with the children to boost your heart rate. The key is to start at a level that you are comfortable at and increase the levels of intensity as your body becomes accustomed to the strain placed on it. We must remember our bodies were not designed to sit down all day we must keep moving to keep our bodies in a healthy condition. Get that heart rate going! The following exercises are to elevate the heart rate which depletes energy stores. High knees – To do this exercise, march in place or down a hall, and bring your knees as high as they can go. Jumping jacks – work the muscles in your shoulders, abs and legs and is great for elevating the heart rate. Cleaning – Cleaning can be very physical, especially vacuuming and mopping as this gets the heart rate going. Exercise isn’t only for maintaining your weight and staying healthy, it’s great for relieving the stresses of life. It also helps your mind by releasing those “feel good hormones” that improves your mood, whilst also energising you through the day and helps with your sleep patterns. Exercise is great for managing stress, anxiety, depression and low mood, all of which disrupt our sleep patterns. I find outdoor exercise is more beneficial because it also provides natural light and fresh air, adding extra sleep benefits. Always consult your GP before beginning any exercise program or changing your diet. This general information is not meant to diagnose any medical condition or to replace your healthcare professional.